Another role? The early speculation was that Kelly would remain at NBC in a lesser role, but media writer Brian Stelter at CNN says that's now off the table. Kelly is expected to leave the network entirely. Back to Fox? Don't count on it, reports USA Today. 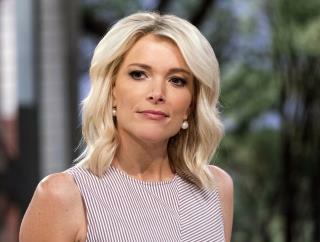 Some of Kelly's former colleagues there are defending her—she "is not a racist," wrote meteorologist Janice Dean, while Geraldo Rivera said she's been "scapegoated"—but a network spokesperson made a point to say Fox is "extremely happy" with its current prime-time lineup. The AV Club interprets that to mean Fox is taking a "hard pass" on rehiring her. she got too big for her britches and the beyotches at NBC didn't like it! you can't have all the women in the concubine fighting amongst themselves. Yes by all means Newser, let us get the musings of the giant brain and intellect of Don effffing Lemon. Don Lemon? Jesus.